Looking for Free IIT JEE Coaching or Free Online Books for JEE Preparation? Looking for Free IIT JEE Coaching or Free Online Books for JEE Preparation? Looking for Free IIT JEE Coaching or Free Online Books for JEE Preparation? What I continuously see from students on forums and Q&A sites is tendency to get things FREE of cost. Nothing surprising, everyone like freebies. Why to pay for something when you can get the same thing free of cost? It’s the first lesson of financial management which people learn by themselves, no training required. When it comes to services, What is the first thing you look at? Fine. I also do that. Do you know what is more important than cost? A website providing you free video lectures is not JEE coaching. A website providing you free test series is not JEE coaching. A website providing you free JEE resources is not JEE coaching. We provide all of the above things but we don’t call it JEE coaching. They all are additional support along with the coaching. JEE coaching is a service. It’s a continuous effort and hard work of our faculties and team, it can be for 1 year, 2 year or more. 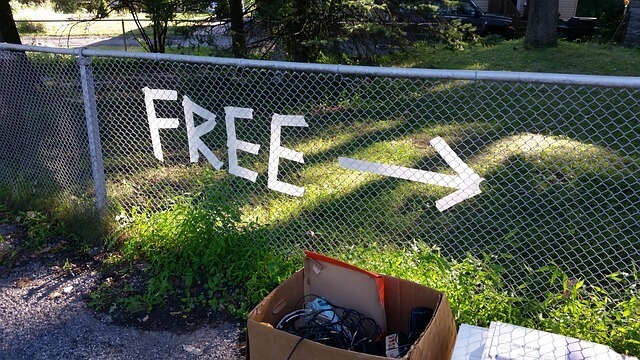 This service is NOT FREE. We may give scholarships, fee relaxation to some categories (due to location and other problems), but to get consistent quality you have to pay the fee. But Anand Kumar is doing it. He is preparing students for JEE free of cost under his super 30 program. Correct. He is the only exception (or may be some more who don’t come to limelight). It’s a cause for underprivileged students and he is doing a great job. We respect him. The only problem is the scalability of his program. A faculty have limitations on time and the ability to handle maximum students. We go for more broader options, targeting different cities, students all over India and abroad. It’s not that any poor student can go and take JEE coaching from Anand Kumar. There is a tough screening test, and only intelligent students get the lucky chance. It’s not magic that all his students clear JEE each year. The students already have something in them prior to coaching and then systematic preparation makes it a perfect approach to clear IIT. What about Khan Academy and YouTube? Both are great resources. Khan Academy is good for basic concepts of Science and Maths. For JEE or Medical (NEET) preparation, it’s a small piece, also the way any concept is taught by a faculty (mostly foreign) would not be ideal for an Indian aspirant. YouTube is the biggest of all. It has no shortage of tutorials. You can watch the video lectures of well known coaching institutes. Again, I wouldn’t call it as JEE coaching or JEE preparation. It’s just an external resource. So next time when you see a XYZ site is promising you free coaching, free lectures from IITians, free exam preparation, then remember it’s not always what’s projected. Do you search free online books for JEE preparation? Where can I download free pdf of books for IIT JEE preparation like S.L.LONEY AND R.D.SHARMA, etc? I don’t know the answer, but if suppose, after plenty of searches, you get the book you want. Think about which is a better option – A book on your computer screen and you’re solving questions looking at that, or a book that is on your table with you? If it’s a tutorial it’s fine. If it’s an online class it’s fine. This is about complete book. Buy it if you can afford it, or get it on rent. Ask from a senior if you don’t have money to buy the book. If your request is genuine, they will not refuse you. There are things which comes at a price, searching them for FREE will most probably lead to disappointments. JEE Coaching is one of them. PS : We do provide a great opportunity which is free of cost! Mystudycart Free Demo Class. Basically it’s just to get familiar with the online system and process of JEE online classes, so that you can decide if it’s convenient for you to register for an online course.